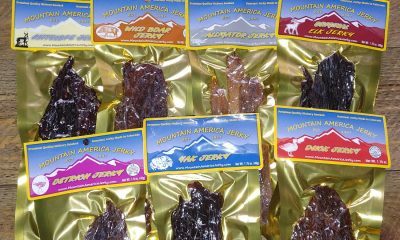 All of our jerky is thick cut, marinated, and hickory smoked daily with no added MSG, nitrates, or other fillers. Try all six and discover a unique gift under $50. Sent this as a gift to my father in law – needless to say it was received well! Rave reviews all around. Only regret was that we didn’t get a pack for us. Haha. I guess we’ll just have to order more! 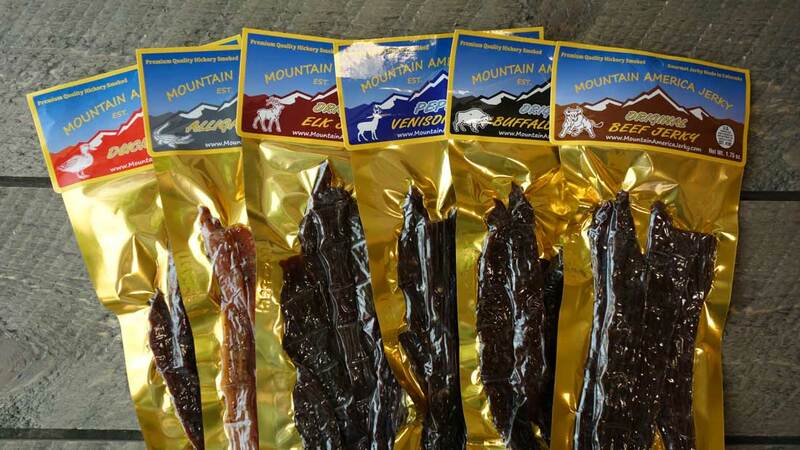 Thanks Mountain America Jerky, you’ve gained a customer for life! 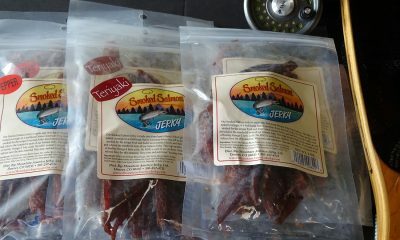 My niece’s husband is a jerky enthusiast and she said it would make a great holiday gift. He was delighted! Said the quality and flavors were top notch. your web site, selection, and price are great, so I will be ordering again. Thanks! I picked the Colorado Fisherman Jerky Six-Pack as a gift for my husband and dad, who both love jerky. The both loved it! So far, the traditional beef is the favorite, but they both really liked the alligator. They are having fun trying the different exotic meats, and my husband told me that “whoever made this jerky really knows what they are doing”. Great quality and the communication and fast shipping was outstanding. We will order again. 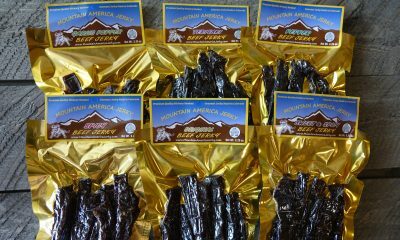 My husband loves jerky and I have been trying to find some really good stuff to send him as a healthier treat while he is in Afghanistan. I found this site and thought I would try it. He got it a few days ago and said it was amazing!!!! He was so happy that I sent it to him. I am very pleased with the buying process, and it didnt take long for him to receive it. I will be routinely sending him jerky from you guys! Thank you! 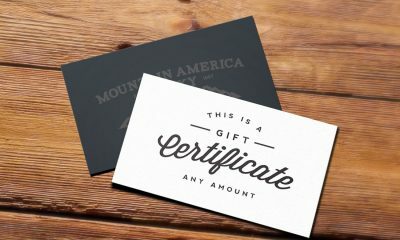 I sent my father the Mountain America gift box for Father’s Day and he only had wonderful things to say about everything from the “real wood box” it came in, to the way it was packaged, and of course to the way it has tasted so far. Sometimes you don’t know what you’re getting when you order something online, but in this case it has turned out to be a great thing. Also the online ordering process was super easy, I got email notifications when box was shipped, and mail notification when it was received.